Thank you to everyone who entered the drawing for my new printed pattern set! The response was unbelievable! There were over 800 entries! If you didn't win, not to worry! There will be plenty more pattern giveaways happening around the blogosphere. I will be announcing all future drawings in the Never Not Knitting ravelry group. little samples of my Chloe sweater pattern for girls. One is for one of my trunk shows and the other is being displayed at a new local yarn shop. 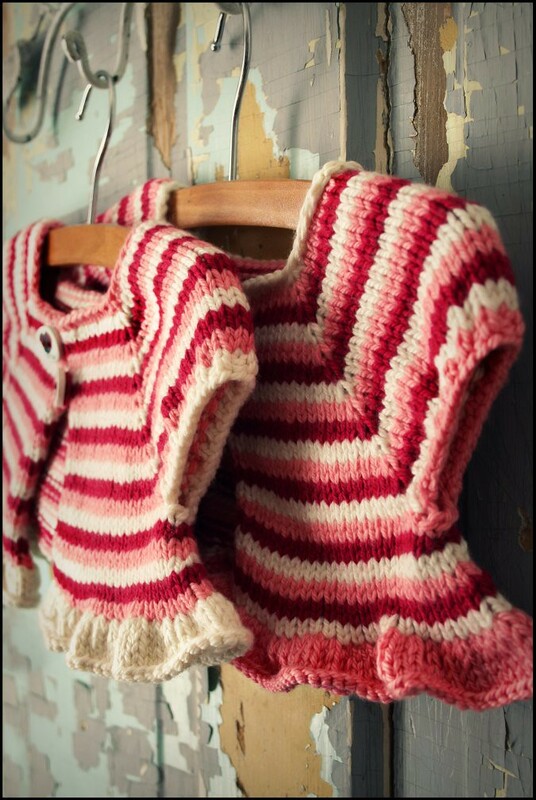 These three colors of Spud and Chloe Sweater yarn look so sweet and girlish together. Sort of like a lollipop or similar stripey candy. I love all of Spud and Chloe's colorways. Its so fun picking three to go together. These colors that I chose are named Watermelon, Popsicle, and Ice Cream. Hmm.. now that I think about it, I may have picked these colors when I was hungry. They do sound delicious don't they? 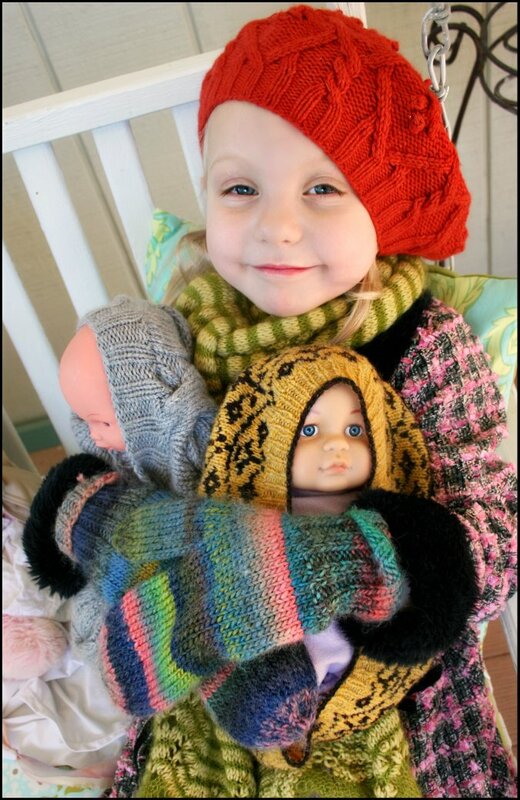 To make a Chloe sweater you only need 1 skein of each colorway. These two samples are in the 6 month size and I have more than enough to make a third. Granted, this is a small size, but it really doesn't take that much of each color to create this piece. I definitely think this sweater would be a great way to use up some partial skeins of worsted weight that you might have lying around. I picked up some hand painted ladybug buttons for the sweaters and I think that they compliment quite nicely. It was fun revisiting this design. The last time I knit this is when I designed this little sweater over a year ago. While knitting it I remembered all that I love about it. It is soo quick to make! I'm sure you could knit a small size in one day if you really wanted to. Also I think its a great garment addition for this time of year. I for one live in a climate that is sporadically cold and then scorching hot. It's truly bizarre and you have no idea what to expect day to day. Additionally, when it is insanely hot during the day it also cools down quite a bit in the evenings. A little sweater like Chloe is a great layering piece for my daughter. Just a little layer of extra warmth on her tiny body.... Similar to a vest. Only its really cute and girly and looks simply adorable over a little dress.. or tank top. And vests just don't work in that way. You know? Also Chloe is very simple to take on and off as the weather changes. 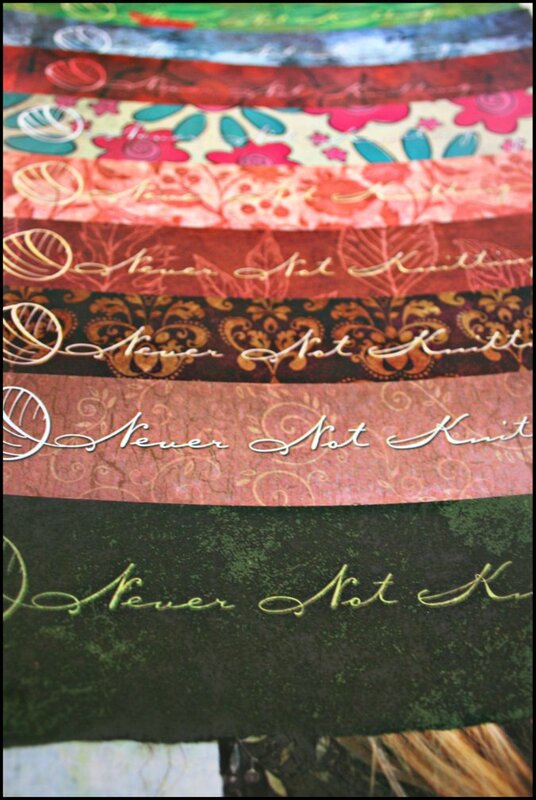 Like I previously mentioned, I'm ecstatic about my new pretty pattern line! Here are a few photos that I would like to share with you because I love them. I have been working on this redesign for a year and these patterns have become like my little paper children. As you can see each pattern is different but follows the same beautiful theme. 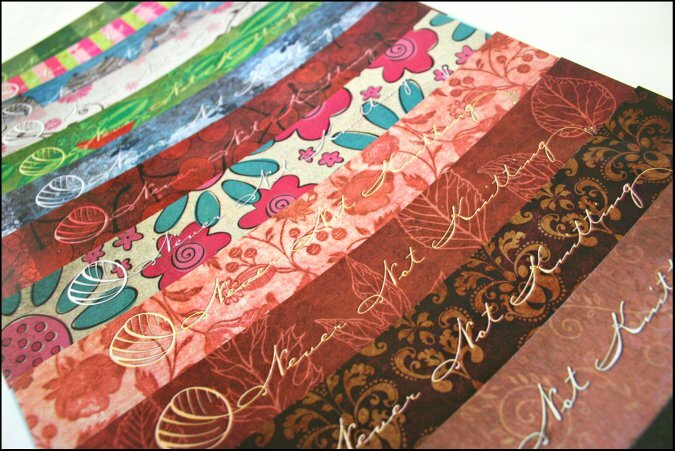 Scrapbook pages! 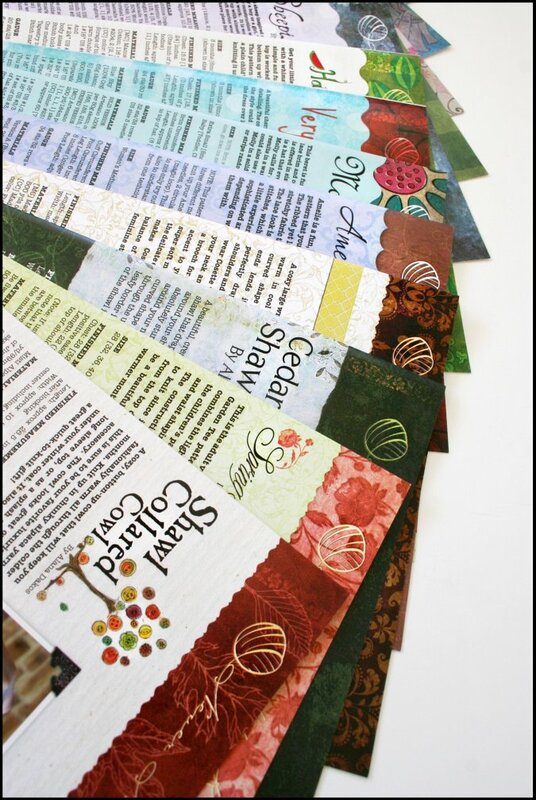 Yes, each pattern is designed to look like layered scrapbook paper complete with paper clips and photo corners, which give the pages dimension and interest. I love seeing all the patterns together. It really does resemble scrapbook paper don't you think? 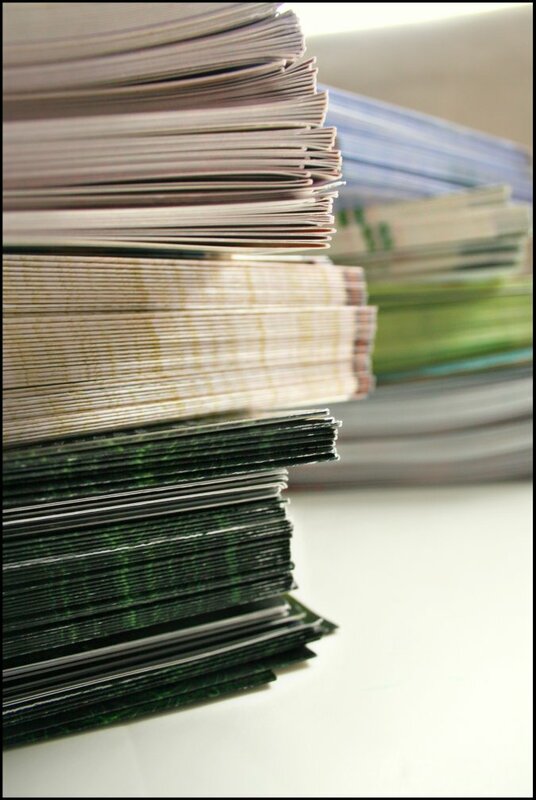 All of my patterns are now printed on glossy card stock in a brochure style format which really makes them look professional. Additionally each pattern includes original illustrations and hand drawn sizing schematics. I feel like this makes the patterns extra special and unique. Below you will find a little collage of some of the illustrations you may come across. So.. bottom line. 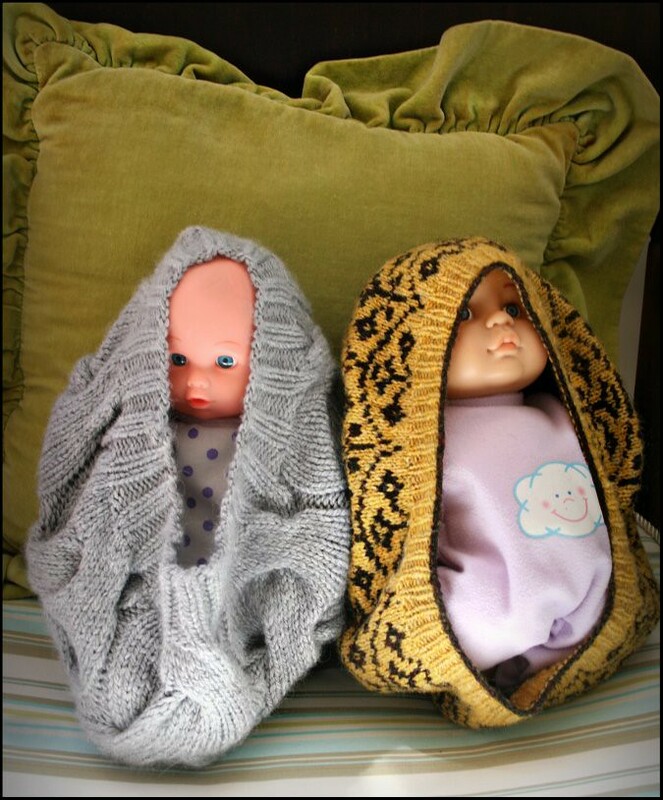 These are not your ordinary knitting patterns. 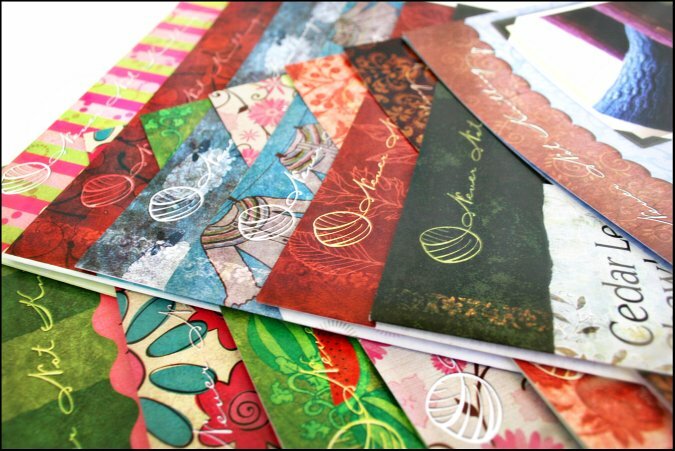 When you open one, you step into a themed little scrapbook paper world. Each pattern is its own unique work of art. 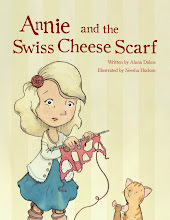 I wanted the illustrations and backgrounds to make the designs come alive to the knitter. I think that they are so much fun and I hope you will too! my wonderful technical editor and 2 very talented graphic artists. Thank you so much Michelle and Jill! 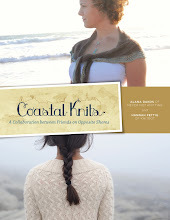 Aside from graphic design, you may already know Jill Zielinski from the Knitterella blog. 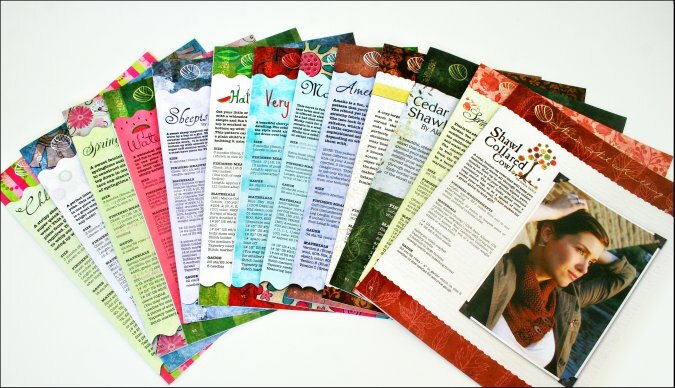 She designs the cutest knitting themed tags and notecards, you must check her out! She was the designer behind my Molly, Chloe, Spring Garden Tee, and Amelie patterns and did a wonderful job! Michelle is not yet a knitter (I am holding out hope), and for that I give her an unbelievable amount of credit! Figuring out how to layout knitting patterns while not being familiar with them is hard work. She was very patient and I appreciate that so much! 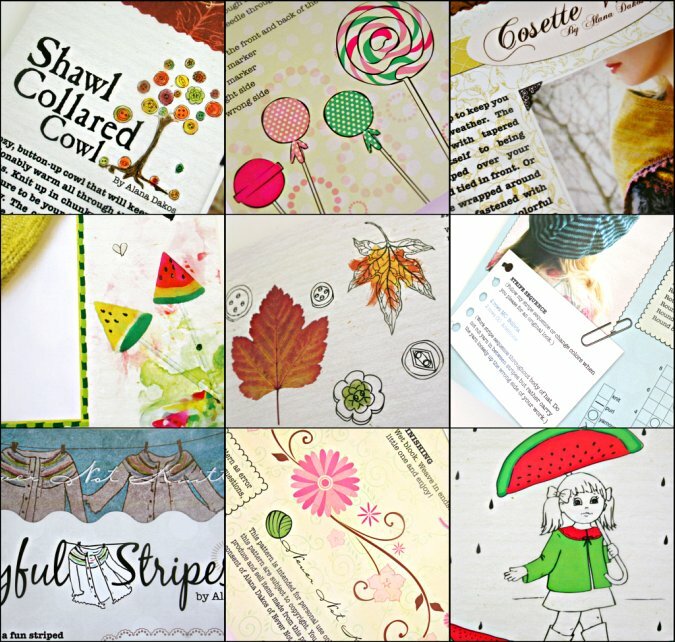 Michelle is responsible for my lovely scrapbook theme and was the artist behind the majority of my patterns. Thank you Michelle! I will be posting up a drawing giveaway within the next few days for my complete new printed pattern line. 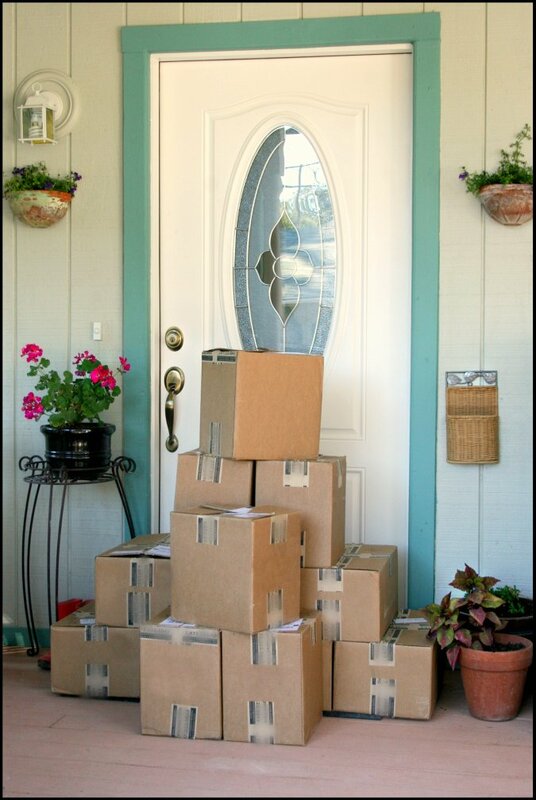 So be sure to check back soon so that you can enter! 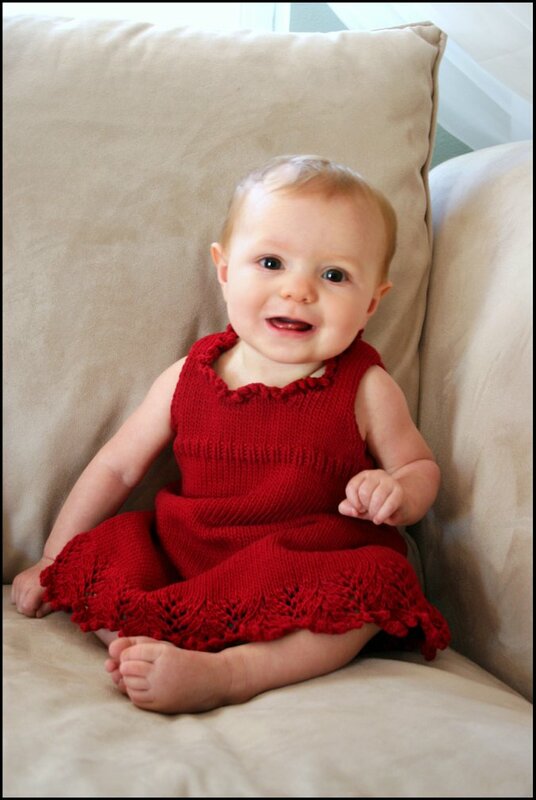 My favorite baby knitwear model, Adelaide, is back and just as cute as ever! She came over today to model some more 6 month size trunk show samples. 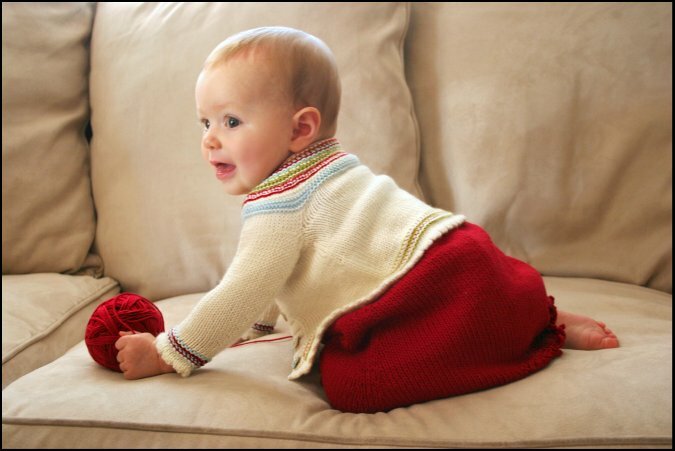 I just love seeing how these knits look on little ones like her. The photo shoot started out well with Adelaide happily modeling the Very Cherry dress. She is cute and smiley but very wiggly. This is one of the only shots I got of her that wasn't blurry. She is constantly wanting to crawl away. I have a new found appreciation for baby photographers. 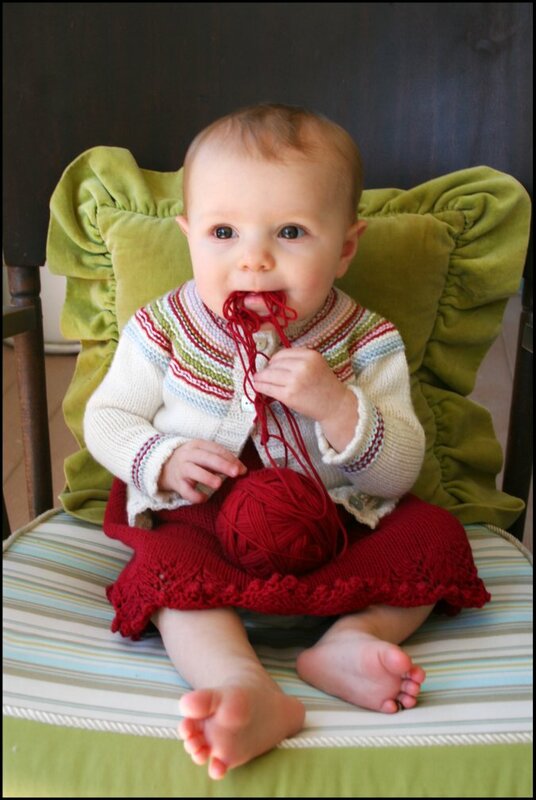 Her Mom had a great idea in giving her some yarn to play with. 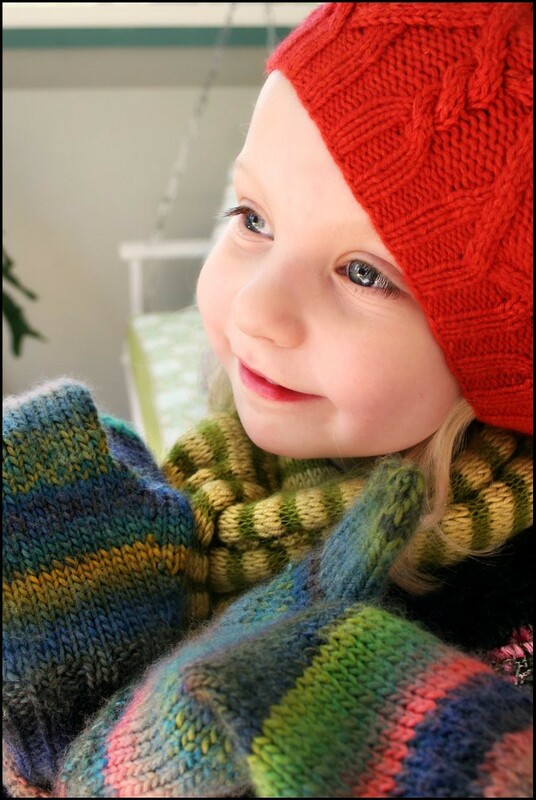 Seeing handknits layered over handknits makes me very happy. Things turned a little sour when we tried to take some pictures outside sans the ball of yarn. She was so disappointed. And I felt bad. Her mom calls this the "old man face". It's so pathetic isn't it? I just couldn't live with the guilt. that it is not just fun to play with. 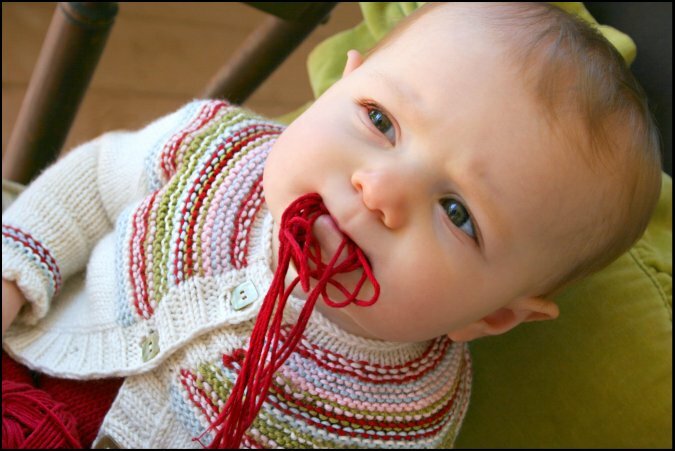 Yarn also tastes good. 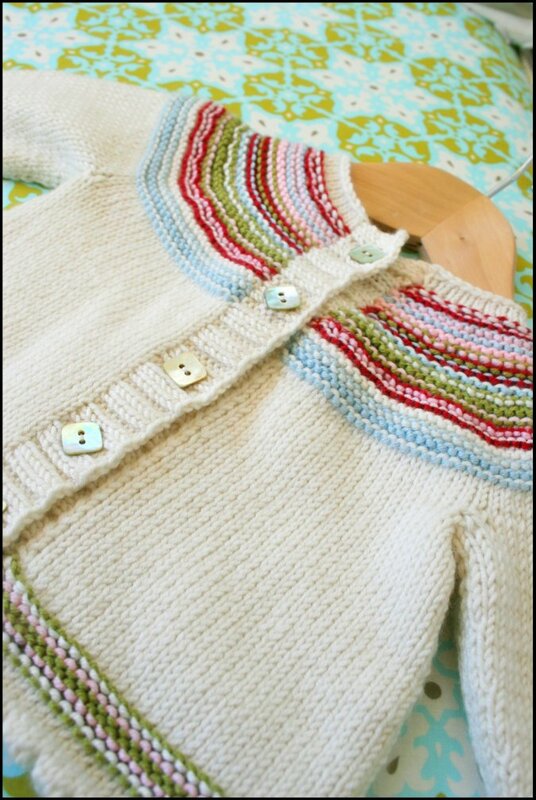 I have to tell you, I am really quite enamored with this tiny Playful Stripes sweater. 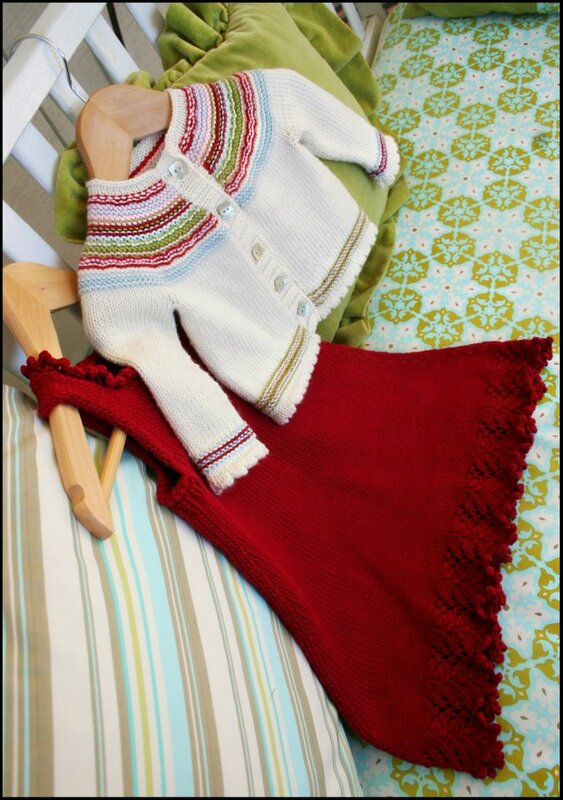 It was knit for me by Andrea from the Life on Laffer blog and the color combination and tininess of it is just too cute. This may be my favorite of all the children's designs, I don't know. I just like how versatile this sweater is. 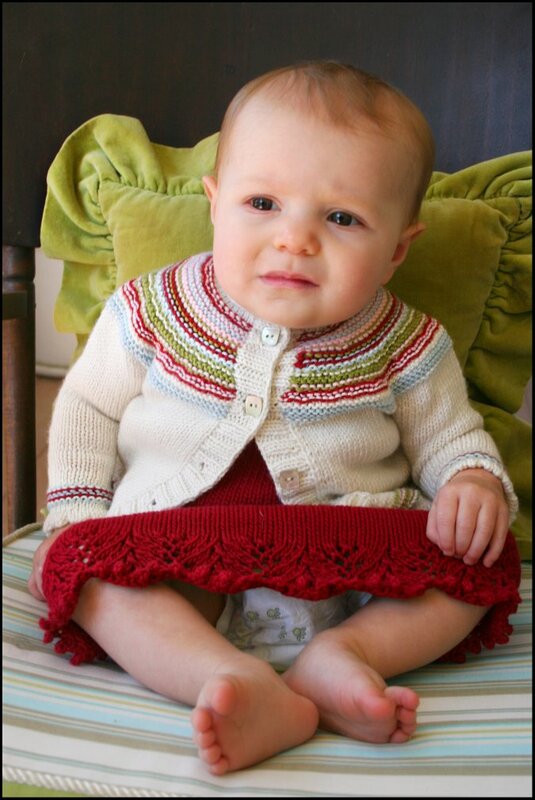 Adelaide's mom who is a non knitter remarked how well the sweater would go with many different outfits. That is so true. but I really think that it makes for a surprisingly cute little outfit. and also to Deirdre who did a fabulous job knitting up the Very Cherry dress for me. 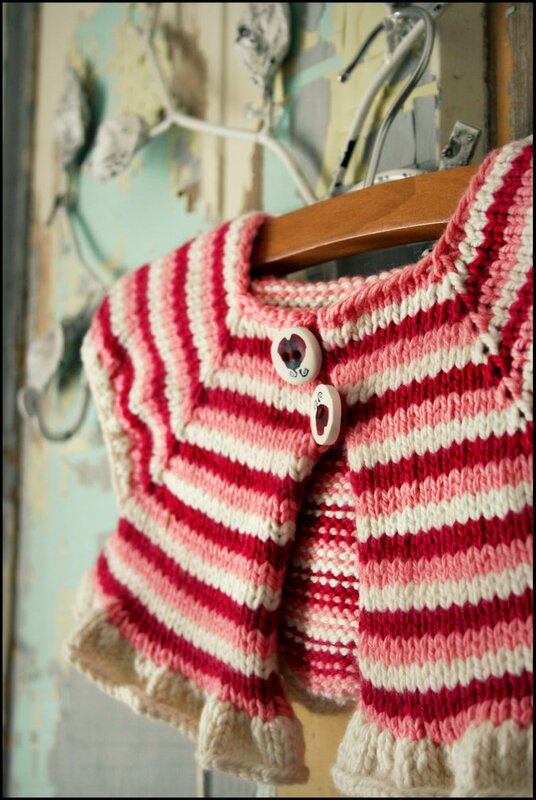 The Playful Stripes sweater pattern can be found here. The Very Cherry dress pattern can be found here. Thanks to my fabulous sample knitters, I am happy to report that my second set of pattern samples is now complete! I now have two trunk shows traveling around the US and hopefully will have another added by next month. 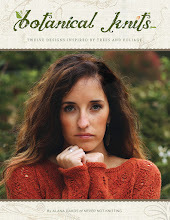 Please check the trunk show schedule to see if it will be appearing at a yarn shop near you! I don't know about you, but I love seeing knits in person. Sometimes patterns that you would never consider quickly become a must knit item when you are able to try them on and see how they look on you. This has happened to me time and time again when a friend is knitting a pattern. 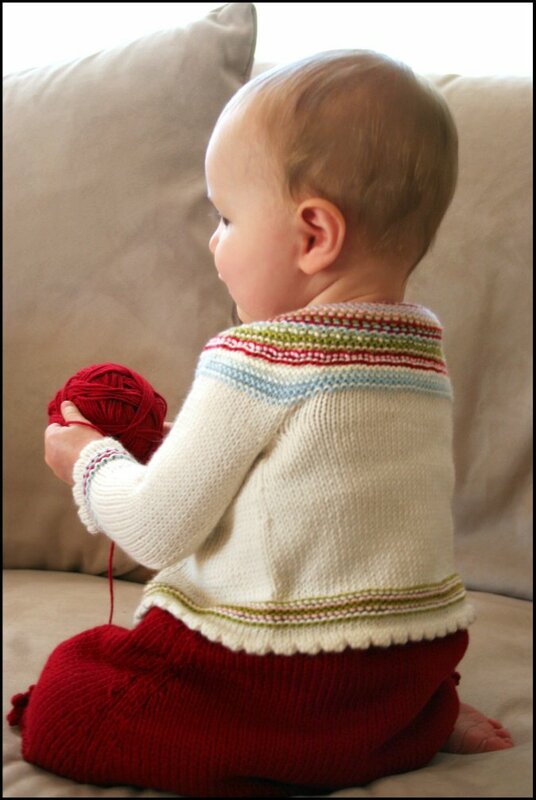 Once I start seeing it knit up I am all of the sudden in love. I guess you could call it "project coveting". 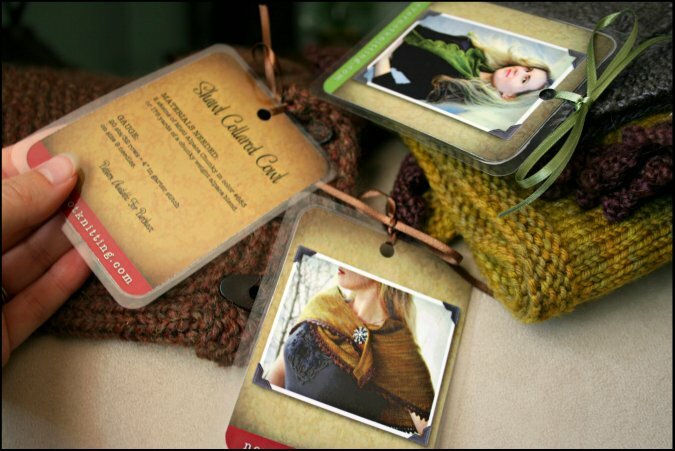 In addition to the second trunk show, I also have added these fabulous tags to adorn each sample. 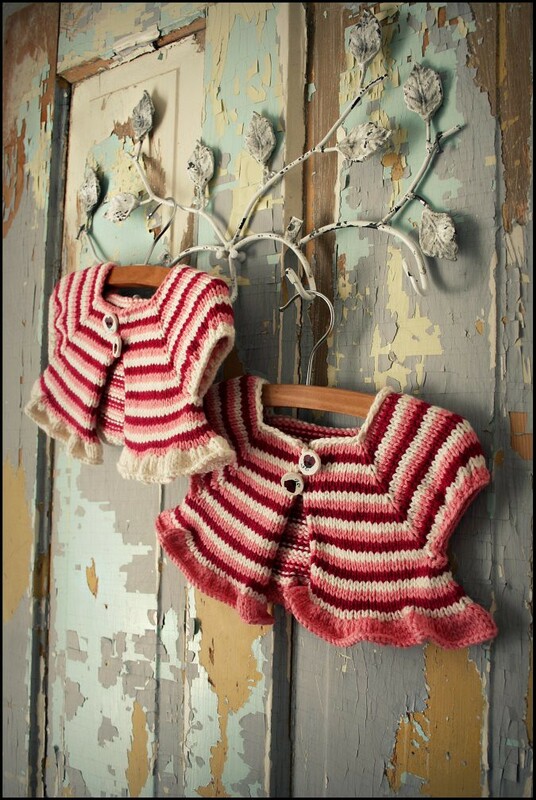 They were designed by Jill Zielinski from the knitterella blog and they are so pretty! (and modeled) by Lily of the Joli House blog for my trunk show display. I have to just say this about Lily. I am so impressed with her. 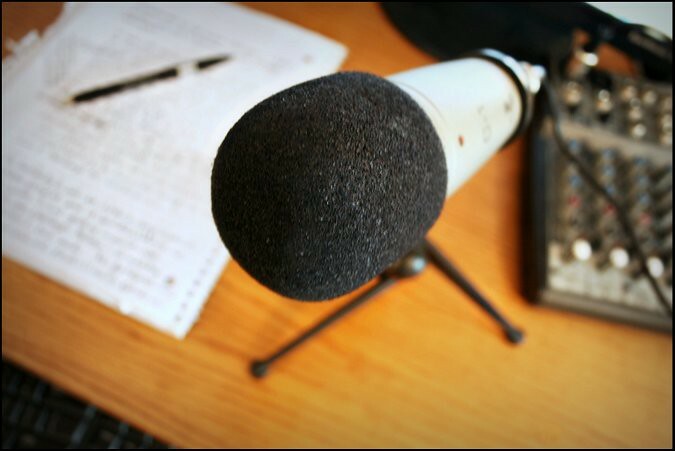 If you are not familiar with her blog, then start visiting it now. 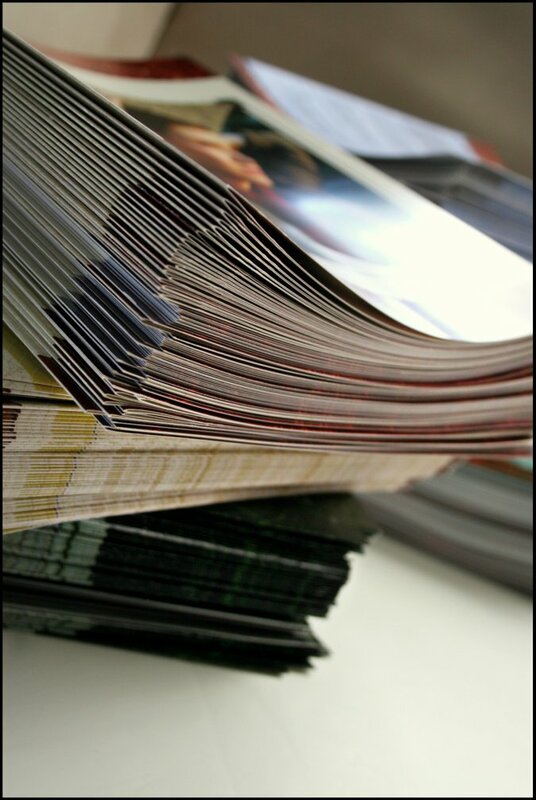 It's a great blog with great projects and photos from both Lily and her talented mom, Amanda. Both of them knit beautifully and the photography is great! 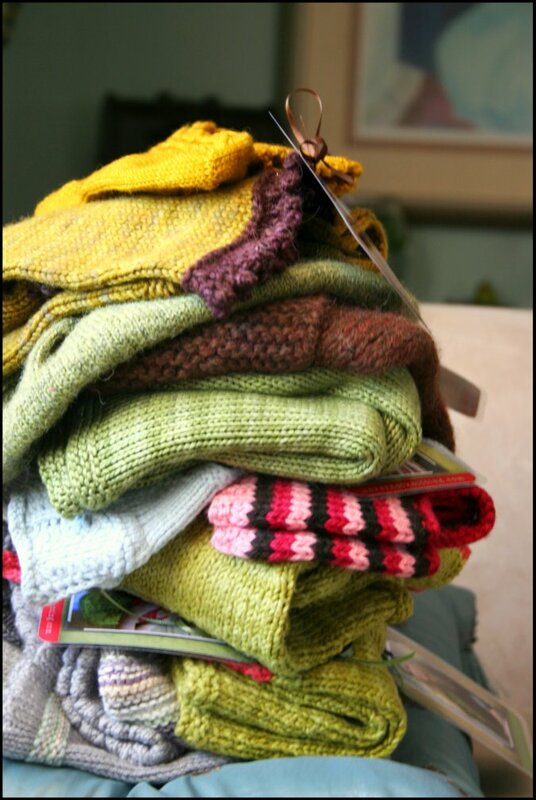 It's one of my favorite knitting blogs and I visit often. But this Lily. She is certainly something. Not only is she one awesome knitter. But she designs her own patterns too! I just wish that I was this pretty and talented at 12. She is way ahead of the game and well.. she just amazes me. I think that she did a lovely job knitting up this tee for me and it fits her perfectly. 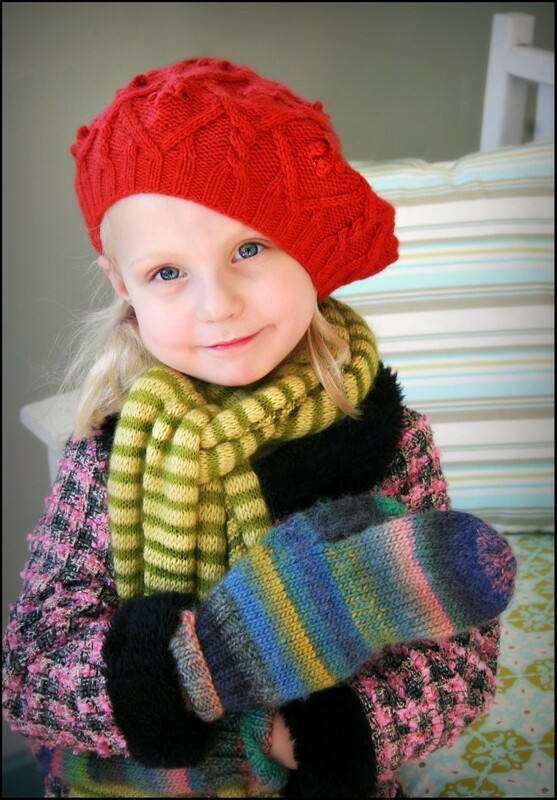 I had her knit it up out of Sirdar Baby Bamboo yarn in the Ming colorway. I chose this yarn as an alternative to the Be Sweet Bamboo that the pattern calls for because it is widely available, very cost effective and is even machine washable! It's commonly used for baby garments for these exact reasons. 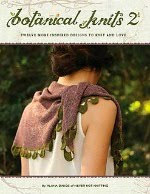 Since this yarn is 80% bamboo it still offers the wonderful drape that I am looking for to accentuate this piece. 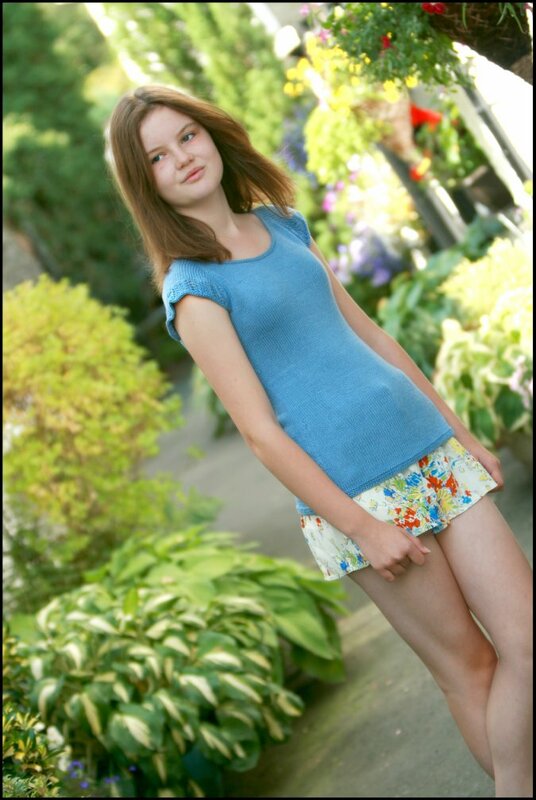 You can find the Adult Sized Spring Garden Tee pattern here.